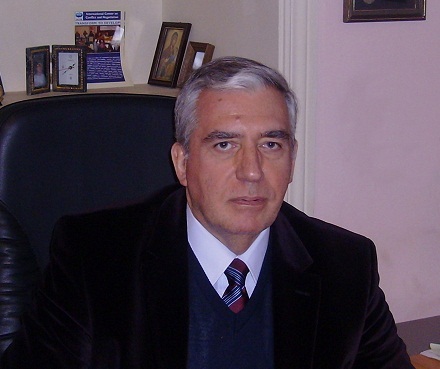 George Khutsishvili is director of the International Center on Conflict and Negotiation. Two presidents that came to power under the sign of change meet January 30th. Below are some thoughts elicited by my friend Ambassador K.S. Yalowitz’s letter, writes George Khutsishvili, director of the International Center on Conflict and Negotiation. We live in the election year 2012, and I belong to those who believe change is needed, and the alternative exists. Yet is the change possible in a country where all branches of power, information and resources are controlled by one power vertical, the ruling team insists it is unchangeable, and the silent majority’s voice is accounted to the administrative majority? Looking back, we see that similar hopes, questions and doubts existed in the election year 2003, but the peaceful revolution happened. What could have dramatically clicked within a few days in a skeptical society’ mind, where everyone was supposed to know everything about anyone else? The turning point that had made November 23 possible was created by the opposition media who demonstrated the effects of (a) virtual critical mass of popular support, and (b) virtual US support for the change. Both supportive factors existed – along with others – but not to an overwhelming extent the media effect forged. However, as the TV bell rang, the words were made flesh, and people believed things somehow had to end as they did. Real success achieved by virtual means must have generated a long-term strategic vision. To maintain power, the above two critical virtual factors had to be maintained as long into future as possible. Along with actual struggle with organized crime and petty corruption, dimensions of grand illusion had been shaping since 2004. The archetypal struggle of good and evil was to be exposed domestically and internationally, the image of external threat/evil had to be unmanageable and perennial, prompting everyone to take side or grow marginal (tertium non datur). Reform as such registers as positive, but here also served as a divide for breaking up the society into two camps: all who disagree with reformers are against reforms! ‘Young reformers’ has also generated another dividing line – age, and with a previous really aged presidency it did really sound. Thus not many objected when they heard that the older generation was by default incapable of reforming and needed therefore to be flushed. To further shape people’s minds, modern versions of ancient sophisms were used: if Zhirinovsky says “human rights are violated in Georgia”, and you say “human rights are violated in Georgia”, aren’t you and Zhirinovsky saying the same? [From a TV debate in 2005]. Can a loyal citizen afford to speak in one voice with the Villain? 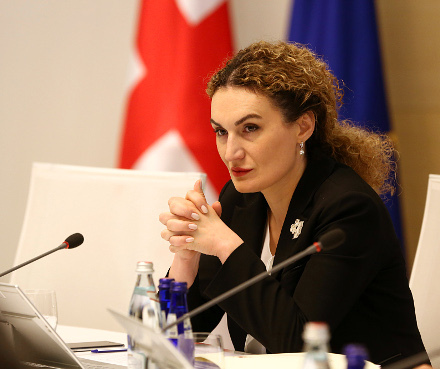 Smart loyal citizens should have immediately inferred: the only way to escape identification with the Villain is to say the opposite, in this case, “human rights are not violated in Georgia”. As simple as that. If all citizens get smarter, reforms proceed better. As many NGO leaders had joined government, we no more need NGOs: ‘civil society slash government’ is doing both jobs. And finally, do we need another party in power or any opposition at all if all the pro-reform, young, law-abiding, smart and loyal citizens are already in the ruling party or supporting it? A desirable goal of democratic reform? Strong state with cooperative human rights defenders, liberal legislation smartly practiced to exclude any obstacles for reforms (e.g. intruders in power framework), and strong police in standby mode with no demonstrators in view. Velvet authoritarianism you may call it, but is it not for everyone’s good? With smart power and smart citizens we can spin-doctor anything, even the August war ruins. Color revolutions have since faded elsewhere, but Georgia has kept raising emotions in the West as a country of winning democracy in a post-totalitarian environment. Whoever tuned to Georgia, would see one and the same bright and neat image. Wishful thinking prevented and still prevents many from realizing that this is not even a façade democracy, but only a screensaver that was used so often that it had finally replaced the real picture. Now it is clear that the screen is stuck and would not go to normal, unless a reset key is pressed. Many people in Georgia still believe the reset key is over the ocean, in the White House and on the Hill. But isn’t it WE who CAN do CHANGE, and no one else? Will we DO what we CAN, remains a question. The election year will be the answer. 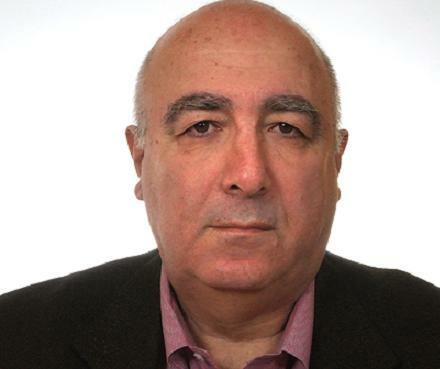 Dr. George Khutsishvili is founder (1994) and director of the International Center on Conflict and Negotiation (ICCN), teaches international conflict, authors and edits books and articles, and also regional representative for the the Global Partnership for the Prevention of Armed Conflict (GPPAC).